Inspired by Psalm 46 and Martin Luther's classic hymn "A Mighty Fortress Is Our God," this tract reminds us that God is steady and unchanging—a rock and refuge for those who trust in him. 3 though its waters roar and foam, though the mountains tremble at its swelling. As ordinary as our days may seem, the world we live in is precarious. Each of us is affected by wars and rumors of wars (Matt. 24:6), national catastrophes, and personal crises. The unknowns we live with can threaten to overwhelm our faith and even our very lives. Where can we look for hope and security? “The Lord of hosts is with us; the God of Jacob is our fortress” (Ps. 46:7, 11). God alone is our hope in these troubled times. The aspect of God’s “very present help” (Ps. 46:1) describes his readiness and willingness to save (Ps. 145:18; Deut. 4:7). God is our exclusive security when the world we live in falls apart. We all tend to place our trust in things like reliable friends, financial stability, and “sure things.” But these temporary comforts can never serve as our sufficient refuge or foundation. The assurance of God’s help is our hope even if the mountains crumble into the sea. He is the one who spoke everything into existence (Gen. 1; Ps. 33:6; 104:5–9), and by his word he can disintegrate it (Ps. 46:6). Dear one, do you lack the security of his presence and the confidence of his help when the morning dawns (Ps. 46:5)? To the wind and sea that threatened to capsize his disciples’ boat, Jesus issued the rebuke, “Peace! Be still!”(Mark 4:35–41). There is coming a day in the future when Jesus will put an end to the rage of evil in this world, and his rebuke to the nations will stand: “Be still, and know that I am God”(Ps. 46:10). At Jesus’ command, wars will cease and he will be exalted in all the earth (Ps. 46:8–10). 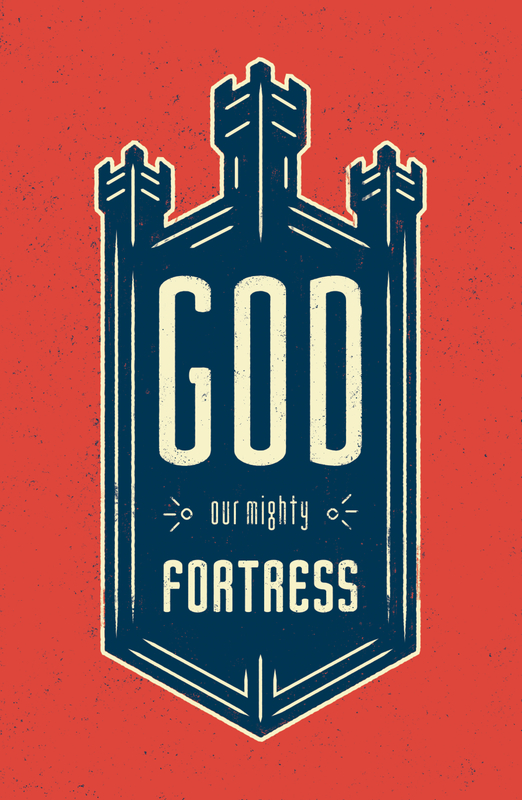 It is no wonder that Martin Luther was inspired by Psalm 46 to write his famous hymn,“A Mighty Fortress Is Our God.” God exercises his indomitable power over all things—nature (vv. 1–3), our enemies (vv. 4–7), and the entirety of this violent world (vv. 8–11). Our unchanging God promises his “very present help” to his beloved children. Who is more willing to come to our aid than the God “who did not spare his own Son, but gave him up for us all” (Rom. 8:32)? In the unknowns of our tumultuous earthly circumstances, we are assured that God is both mighty to save and steadfast in his love (Ps. 63:3). Anchored in the truth of the gospel, we find our refuge in Christ. Heavenly Father, I confess that at times my fears about my own life’s circumstances get in the way of acknowledging your sovereign power over all of creation. Please forgive me for my sins and help me to place my complete trust in your provision. Thank you for providing your only Son, Jesus, whose atoning death and resurrection has enabled me to be in relationship with you. By your Holy Spirit, help me to live in a way that honors and trusts you in all areas of life. In Jesus’ name I pray, amen.